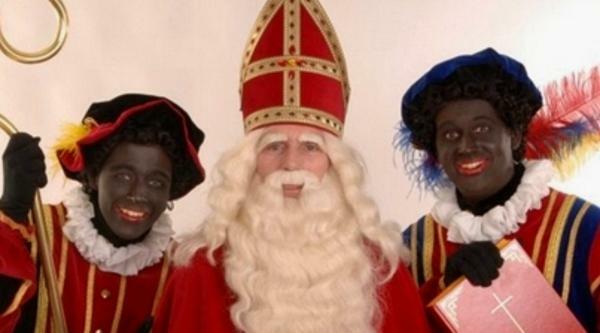 Should 'Black Pete', part of a Dutch tradition called Sinterklaas, be banned? 'Black Pete', part of a Dutch tradition, should be banned. Black Pete is a symbol of slavery and colonialism. Black Pete is a racist caricature; the curly hair, thick red lips and big golden earrings. Dutch society is no longer a homogeneous white society, so this tradition should belong to the past. Banning Black Pete undermines a tradition and thus the Dutch national identity. Black Pete doesn't embody a slave; instead he's Sint’s friendly helper. Arguing about it spoiles this celebration for kids. Black Pete isn’t black at all – his face is covered with soot only because he goes up and down chimneys to bring gifts.